New books for August 31, 2010. If time and money were infinite, this is what we would buy and read. You may have heard about this one. Lordy, that’s a subtitle-and-a-half. Throw in “Plan a Heist” and I’d marry that sonuvabitch. Ouellette, the author of Physics of the Buffyverse and director of the National Academy of Sciences Science and Entertainment Exchange backed into the book via a series of posts on the Cocktail Party Physics blog detailing her own irrational fear of math. Here’s some more background, some promo at the author’s website, and just for fun: a post by Oulette about the depiction of scientists in popular media. 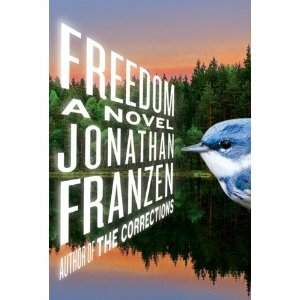 This entry was posted in blog, Enthusiasm, The Word and tagged #books for men, Freedom, If Only We Could Read Faster, Jennifer Ouellette, Jonathan Franzen, The Calculus Diaries. Bookmark the permalink.